Hi, I get it that Goodtask is primarily for iCloud reminders but are there any known limitations, apart from location-based reminders, when using Outlook reminders instead? 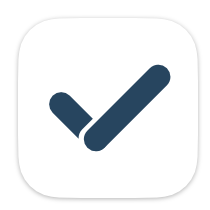 Or will Outlook reminders work equally good with iphone, iPad and apple watch with Goodtask? Thanks. But basically it works well. Thanks! Thanks a lot for the clarification. I did try it out and even though it seems to work, I actually had some sync issues between my iPhone and Apple Watch. Like duplicated lists and so forth. I’ll stick with iCloud. I always have my iPhone and Apple Watch nearby anyway and it’s easier to add reminders on them too. And goodtask is so flexible and pleasant to use. Thanks!